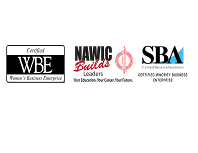 A leader in the thermoplastic valve industry, TVI, Inc. is one of the largest manufacturers of a complete line of thermoplastic valves in the world. TVI's diverse thermoplastic valve line is backed by more than 30 years of application knowledge, manufacturing experience, and an extensive network of regional sales engineers and stocking distributors in North, South, and Latin Americas. 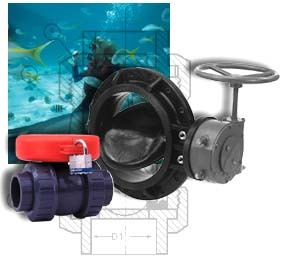 For three decades, TVI has offered a complete line of thermoplastic valves. Our dedication to superior service and outstanding customer care has resulted in amazing growth. Allow us to earn your business! Let us quote your next stocking orders and show you how much we can save you. 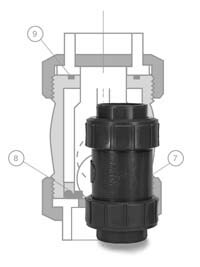 Stocking orders can be customized to your specific valve needs with both terms and discounts based on volumes. Remember, TVI even stock butterfly valves form 1/2 inch to 40 inch along with a full line of safety block valves! TVI's vision is to help its customers save time and money by providing the following advantages. TVI is 100% committed to customer focus and satisfaction. TVI provides high quality products and services. With over 30 years of excellence, TVI's products are priced to compete in a competitive market. TVI offers timely responses to quotations while orders are delivered as promised. TVI's thermoplastic valve line targets industries that require complete resistance to corrosion, galvanized corrosion (electrically non-conducive) and contamination in both metal and plastic piping industries. Our thermoplastic valves are superior to metal valves due to their high level of corrosion resistance under the most aggressive conditions.